Traeger Grills of Salt Lake City, Utah, is recalling about 15,100 Scout and Ranger portable wood pellet grills. This recall involves Scout and Ranger portable wood-pellet fueled grills. 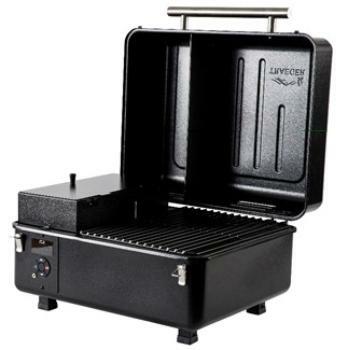 The portable grills are black-metal rectangular boxes with a clamshell opening for access to the grill. The grills are marked with the word “Traeger” and the Scout model also has an image of mountains on the top of the grill. The Scout has a curved silver handle on the front of the grill with a round dial to adjust the temperature. The Ranger has a straight silver handle on the front of the grill with a push-button touchpad to adjust the temperature. The grills are about 21 inches long, 20 inches wide, and 13 inches high. The Scout weighs about 45 pounds and the Ranger weighs about 60 pounds including its cast iron griddle. The grills, manufactured in China, were sold at Costco, Ace Hardware stores, other stores nationwide, and online from March 2018, through July 2018, for between $300 and $400. Consumers may contact Traeger Grills at (800) 872-3437 from 5 a.m. – 7 p.m. (PT) Monday through Sunday, by email at productsafety@traegergrills.com or online at www.traegergrills.com and click on “Voluntary Product Recall” for more information.